Cryptography is the science of information security. This refers to the design, definition and construction of information systems that are resistant to manipulation and protected against unauthorized access. An important aspect of this is encryption. This text is concerned with symmetric encryption using AES-, and asymmetric encryption using the RSA algorithm. At Boxcryptor, AES is the encryption algorithm that encrypts the information (file), while RSA is used for managing the keys. There are two different keys being managed: the (1) public key and the (2) private key. 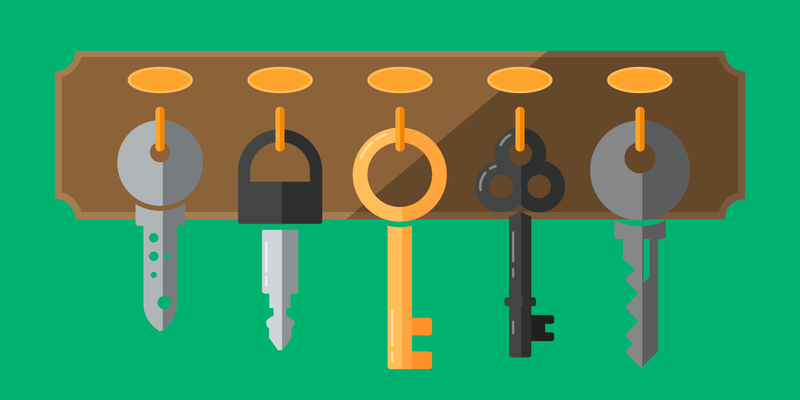 This principle of managing keys is also referred to as public-key infrastructure. After a file has been encrypted using the AES algorithm, the AES key for decryption is itself encrypted using the RSA public key. The encrypted AES key is then attached to the encrypted file. By making use of the public-key infrastructure for encryption, it becomes possible for different users to open the same file: Each user receives his own key, which is attached to the file (by means of access authorization). The keys of each individual user work independently of each other. Using two keys in the asymmetric encryption method (instead of one, as in the symmetric method), eliminates the need to transfer the file-key (i.e. AES key necessary to decrypt the file) in plain text. The public key is not secret and can be requested (usually via a central instance). The encrypted file-key is safely attached to the file, because it may only be decrypted by using the corresponding private key, which only a user with permission to access the file holds. The central instance for public key assignment is the server of Boxcryptor. Public and private keys of each user are stored in encrypted form on this server – encrypted with the respective private key, once more. Hence, access by the Boxcryptor team is not possible, at any time. But Why Do Public and Private Key Match? Private key and public key match because they were calculated as a pair by a key-generation algorithm. Boxcryptor uses the RSA key-generation algorithm. This cryptographic technique was developed by the three mathematicians Rivest, Shamir and Adleman at MIT. Users may export the keys to a local key file. This key file can be used in combination with a local account. To use a local account, no connection to the Boxcrytor servers is necessary. Even if the service would be interrupted for a long period of time or completely shut down, users could always access their files with Boxcryptor. The instructions for exporting keys to Boxcryptor can be found here. The Master Key is one of the most important Boxcryptor Company and Boxcryptor Enterprise features. If enabled, the Master Key gives company admins the ability to decrypt every file which is accessible by users of the respective company, or resetting the users' passwords - without having to know the password. The Master Key protects against the loss of access to property (company files) even in complicated situations (e.g. when a user forgets his password or leaves the company). For more information click here. Get to know the features of Boxcryptor Company and Enterprise in a free webinar. Additionally, we will provide insights on how to set up Boxcryptor in your company, and answer any of your questions. Click here to find out when our next webinar takes place.